The three musician began their forage for employment, but soon a sense of ambivalence was beginning to prevail, the bay-area clubs hosting live music were mostly cataloged by music designation, country, blues, jazz, rock, latin, etc., very few catering to a versatile band with a total inclusive repertoire. A survey of several east bay clubs distinguishing that most were four piece bands with the basic two guitars, bass and drums or if a five piece group an added instrument depending on the genre of the music. Gary conjecturing it would be ambitious to try and dislodge an acknowledged a country or top forty band with a confirmed cortege of followers, but a struggling club might be open to a new musical venue. It was always made good business sense to have one individual represent the band as lounge and club managers preferred negotiating with a display of leadership rather than with even a consensual group. The Untouchable discovering two east-bay opportunities in Oakland presenting themselves, not the best in atmosphere but a start, the first in 3200 block of E. 14th St. and the second in 9400 block on MacArthur Blvd., both clubs laboring with four piece bands. Jerry’s Ford once again journeying across the Bay Bridge the band members venturing to a downtown business district lounge on San Francisco’s Sutter St. 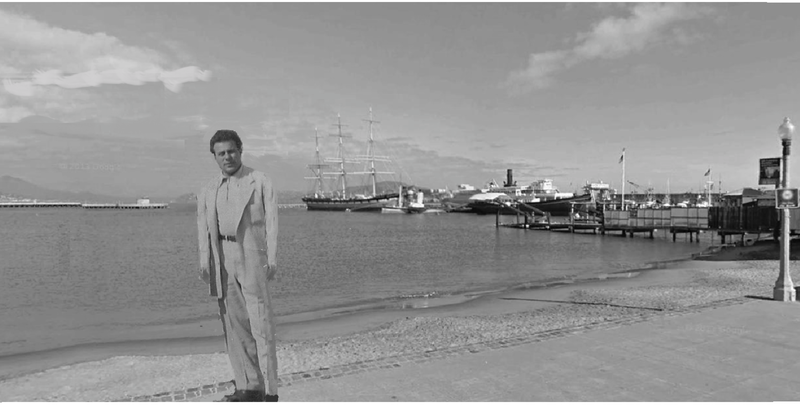 The establishment was acknowledged to Sylvio Tognazzi, Gary’s little known cousin by marriage, the son of his Aunt Loretta deceased husband Dino by his first marriage. His Aunt Loretta having ventured that the band might inquire with her step-son Sylvio, as his nightclub sometime frequented live entertainment. Entering the club, the band discovering an interesting concept, a small raised performing stage behind the bar a provisional area for entertainment. A congealed conversion with Sylvio disclosing the club had provided entertainment during the busy afternoon and early evening hours in the past but by single or duo performers. Gary thanking his cousin but it was obvious the raised platform behind the bar lacked the stead to accommodate the band. Glenn positioning his rehearsed trump card, an overall sound of five instruments but having to compensate for three musicians, a financial saving for club management and the two east-bay association showing a definite interest. An audition presentation for the East 14th St. and MacArthur Blvd. clubs in the making but the band deciding to forgo the East 14th St. club with its shot-gun bar and make-shift stage, lack of atmosphere and location. Audition for the MacArthur Blvd. lounge, known as The Elbow Room was at 10:00 a.m., a time chosen to prevent disclosure to the current latin band of managements desire for a change. The Elbow Rooms street appearance was lacking but the interior more than made up for what it desired. The club having a luxurious mirrored bar on the south, the bandstand and dance floor on the east and able to seat 75 in a carpeted well decor atmosphere. The band setting up on the dance floor to audition, Gary having mixed feelings about auditioning with the other bands equipment still on the bandstand and presumably unaware that they might soon be replaced. It was confirmed The Untouchables would start the following Tuesday on an open-ended contract for five nights a week. 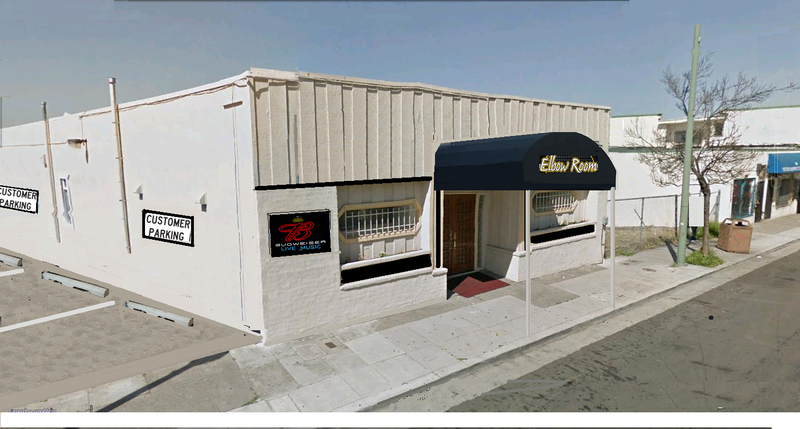 The Elbow Room at 9424 MacArthur Blvd. The Union contractual agreement signed by the club management that was filed with Local #6 of the musician union in reality didn’t correlate with the actual agreed upon terms. 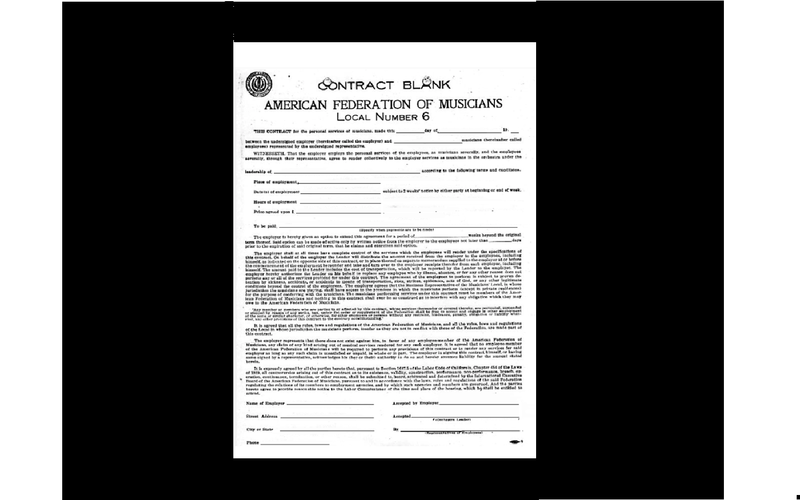 The union contract imposing the union wage plus calling for an additional stipend amount if the band supplied a piano, a P.A. System and to compensate for the Band Leader, the Untouchables meeting this criteria. Management offering a take it or leave lessor wage if they wanted the job, the owner advancing what he referred to as a ‘common practice clause’ in lowering the amount the band would receive, asserting it was adherent of all the clubs in the Bay Area. The union setting the contractual demands beyond what management would pay, even though a band was required to sign a receipt for the Union contract amount, Gary acknowledging a better term for the ‘common practice clause’ it was called ‘kickback’. 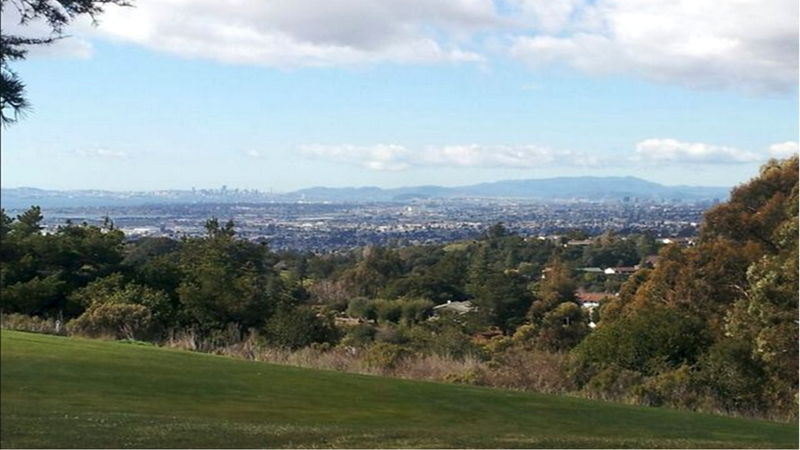 The last time Gary ventured to the memorable Lake Chabot golf course was in high school, the recollection of Hank Ball and him caddying on weekends and the many after school tee-offs indelibly etched in his memory. Glenn and Jerry having never been exposed to the eighteen holes of challenge, their expertise was limited to an entertaining past time called miniature golf, but this would soon change. The three traveling to the 6018 yard par 72 course that opened in 1923, a five dollar rental fee providing a golf bag of used clubs enabling them to charge the fairways and hole the greens. The scenic hilly course a wonder, the feel of the clubs once again bringing back an awareness to the chapters of past events that had transpired. 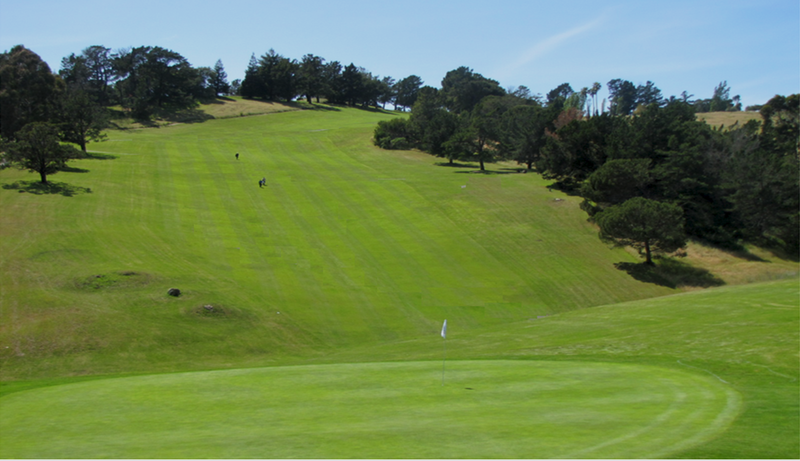 Gary was absolute about one thing with introducing his friends to golf and Chabot, its monstrous 673-yard, par 6, 18th hole, something that every gofer would remember, even these two novice’s. Gary wasn’t at all surprised that once Glenn and Jerry experienced only what only golfer can, they would be hooked. The Untouchables tenure at the Elbow Room was interrupted when Glenn received news his wife June had given birth, the arrival of daughter Kimberly. Glenn thought it best that he return Oklahoma and join June in Lawton as soon as possible, Jerry and Gary in agreement having no qualms about leaving the Elbow Room. The management was dissatisfied at the length of time it would take to build a different clientele with the change of music venue. Glenn wanting to leave by bus immediately giving Gary and Jerry assurances he would secure a local engagement for the band upon their arrival. Gary having braided emotions about departing, , but thought it might be best to view the contingencies of his Oakland home from a distance without undue influence of family. These thoughts were prevalent, but so was the task at hand, he and Jerry to ferry the Ford convertible laden with band equipment back to Oklahoma. This entry was posted on December 16, 2016 at 7:29 am and is filed under Uncategorized. You can follow any responses to this entry through the RSS 2.0 feed. You can leave a response, or trackback from your own site.